Make gluten-free baking so much easier with a master mix and a host of recipes to use it in! I am thrilled to tell you about a new cookbook called The Gluten-Free Baking Mix Cookbook by Lynn’s Kitchen Adventures. Lynn was one of my first blog readers over at Life as MOM, and we’ve become real life friends over the years, talking and texting on a regular basis. This book is a brilliant work. I had the privilege to be in on the back story and to hear about its progress over time. A few years ago, Lynn learned that she and both her daughters were sensitive to gluten. But, Lynn was a baker! How could this be? 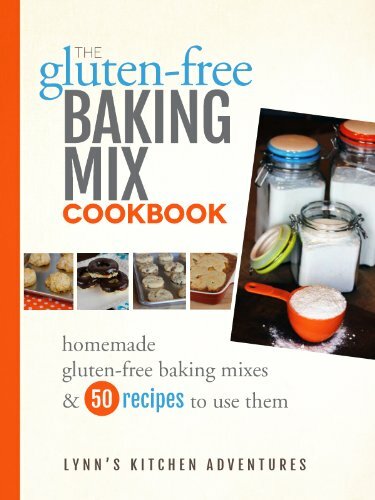 The Gluten-Free Baking Mix Cookbook features one master recipe, similar to a packaged biscuit mix, that can be recreated in a multitude of ways to help you recreate family favorites that you might be missing from your gluten-baking days. Buy the book for $2.99. At that price, you can’t go wrong.